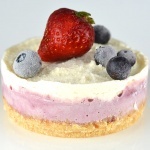 This So Delicious Dairy Free Ice Cream Dessert masterpiece couldn’t be any simpler to make and offers three scrumptious layers of deliciousness! 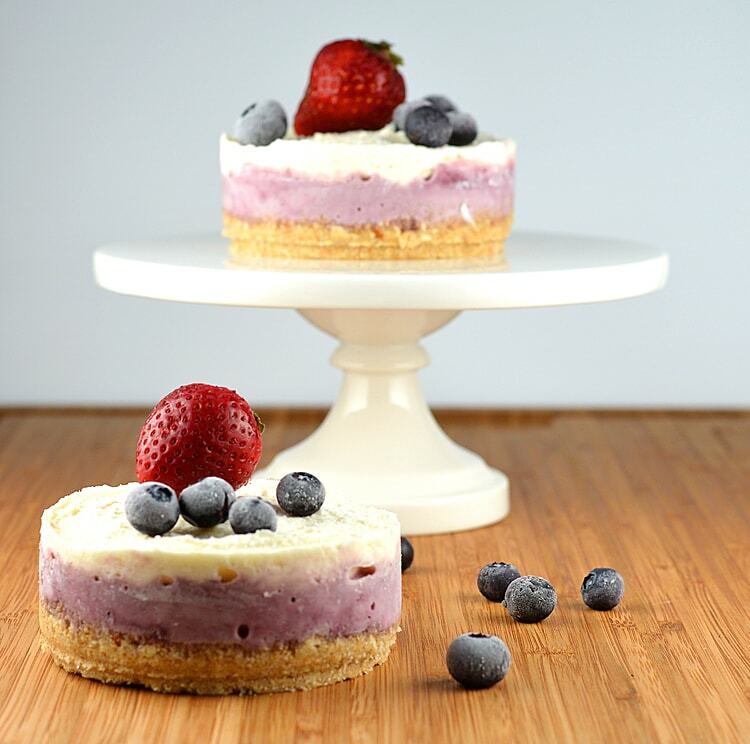 A graham cracker crust, a layer of the Oregon Mixed Berry Ice Cream topped with a frozen yogurt mixture. 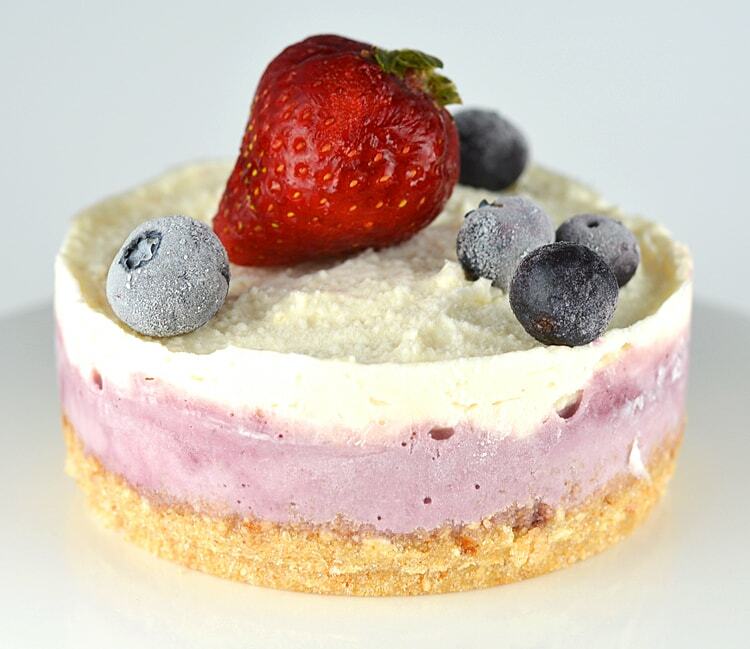 You’ll see later how we incorporated yet another SO Delicious product to make this layer. So let’s get started, shall we? 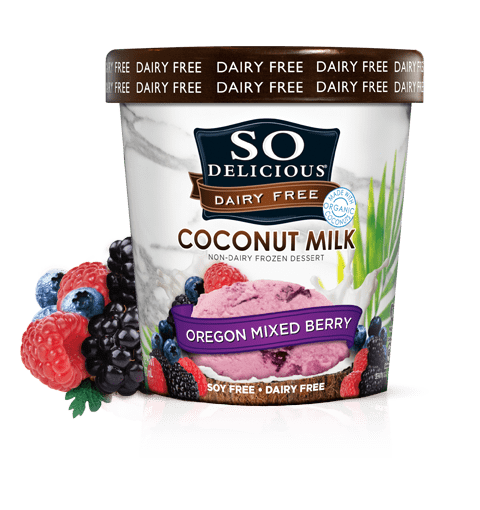 I chose the Oregon Mixed Berry Coconut Milk Ice Cream and the reason we are starting with this ingredient is that you will need to take it out of the refrigerator to soften slightly. Something a little bit like soft serve consistency. This crust is my new favorite graham cracker crust. Why, you ask? Because I wanted a sweet and salty combination, so I added pretzels. Oh. My. Gosh. YUM! I used a food processor, adding sugar and of course, to bring it all together, a bit of melted vegan margarine. You could also use coconut oil. I find that with frozen desserts, the pan of choice is always a springform. It just releases so easily. I give it a light coating of cooking spray for a little added insurance. Press the mixture firmly into the bottom to form the first layer and place into the freezer to firm up for 30 minutes. By this time, your ice cream should be pretty much soft enough to spread onto the graham cracker layer. Return to the freezer for 30 minutes. And now onto the frozen yogurt layer. If you don’t have (or can’t find) any of these ingredients, you can definitely modify the recipe. 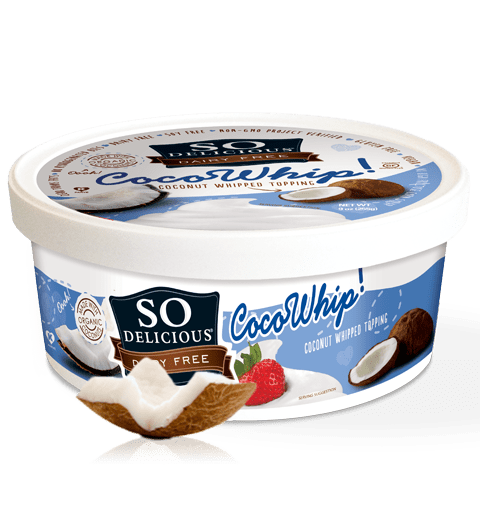 We used vegan cream cheese, powdered sugar, Jello brand instant vanilla pudding (it’s vegan-friendly), vegan vanilla yogurt and SO Delicious Coco Whip! Spread the yogurt layer onto the ice cream layer and freeze for several hours before releasing from the springform pan. Allow to sit at room temperature for about 15 minutes prior to serving. Top with fresh fruit and enjoy! Take the ice cream out of the freezer and let thaw until it's just a bit stiffer than soft serve. 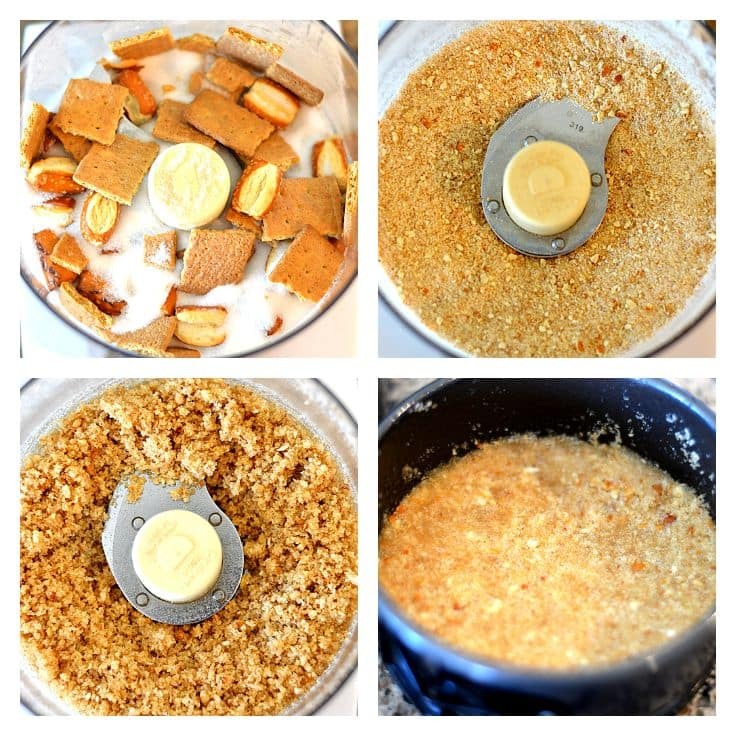 In the bowl of a food processor, combine the pretzels, graham crackers and sugar. Pulse until fine crumbs and then add melted butter. Press the crumbs into the bottom of desired baking dish. Set in the freezer while you make your filling. 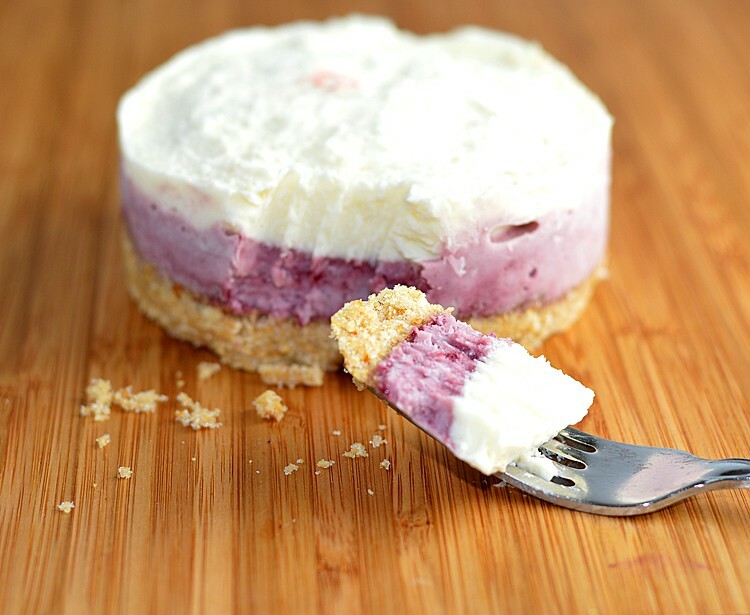 Spread the softened ice cream into an even layer on top of the graham cracker crust. Return to the freezer. Meanwhile, combine all of the ingredients for the frozen yogurt topping. Spread in an even layer on top of the ice cream layer. When you are ready to serve, allow to thaw for about 10-15 minutes.